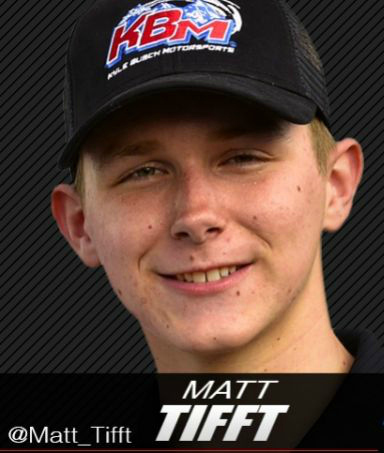 Kyle Busch Motorsports (KBM) announced today the addition of Matt Tifft to the team’s driver lineup for the 2015 NASCAR Camping World Truck Series season. Tifft will run a six-race schedule and share the driving duties behind the wheel of his Tundra with KBM owner-driver Kyle Busch and Joe Gibbs Racing (JGR) driver Daniel Suarez, competing for the Truck Series Owner’s Championship. KBM also announced the addition of Justin Boston to the team on Friday. Announcements on truck numbers, sponsors and crew chiefs for KBM’s teams in 2015 are forthcoming.